Illustrations: Edition is illustrated with numerous woodcuts. 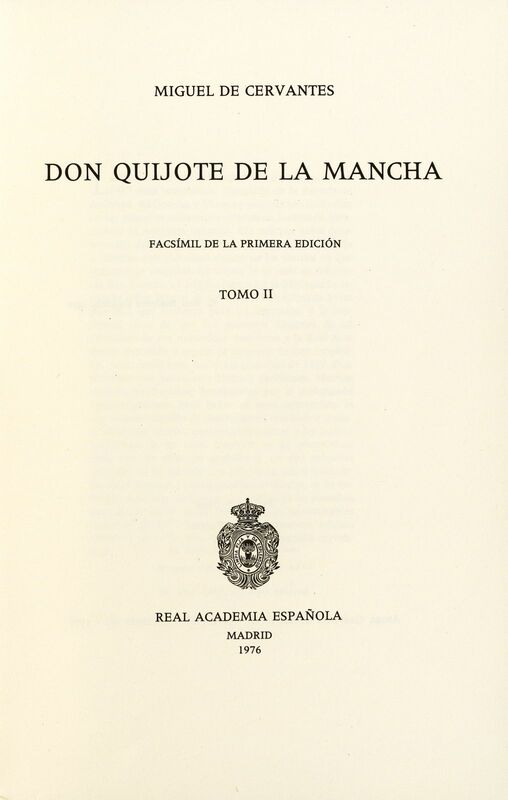 Description: Facsimile edition; Barcelona: Círculo de Bibliófilo-Biblioteca Nacional, 1978. Limited edition; Cushing´s copy #728 of 1499. 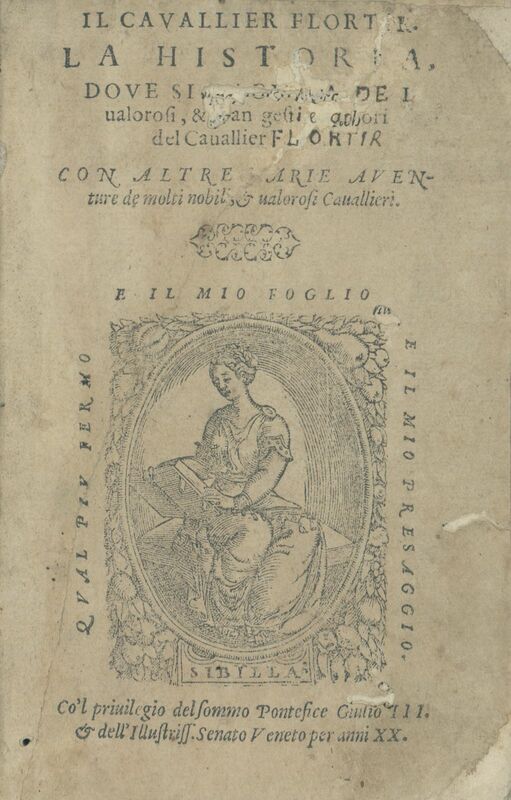 Illustrations: Frontispiece representing Sybil, seated and reading, with the motto "Qual più fermo è il mio foglio è il mio presagio." Description: First edition. 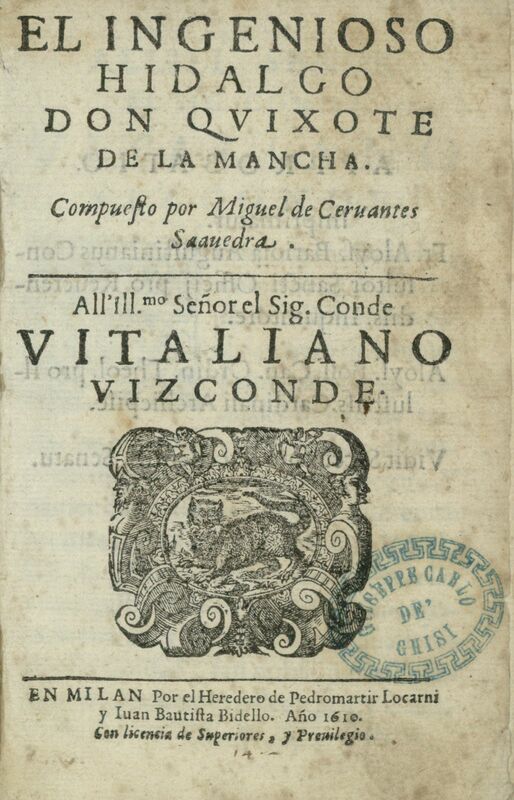 Italian sequel to the Spanish chivalric book Platir (Valladolid, 1533) from the Palmerín cycle, and parodied by Cervantes in the Quixote (Part I, Chap. 4). 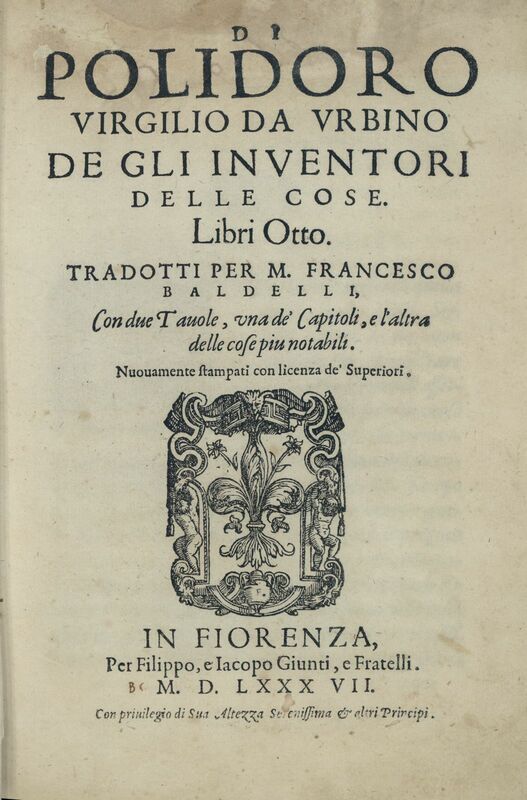 Platir became very popular in Italy, where a second part was published in 1560. Cushing´s copy bound in 18th century vellum. Illustrations: Illustrated with 36 woodcuts and printers emblem on title page. (see next entry for images). Description: Second edition of continuation of Ariosto's Orlando furioso, written by Nicolás Espinosa (Zaragoza, 1555). 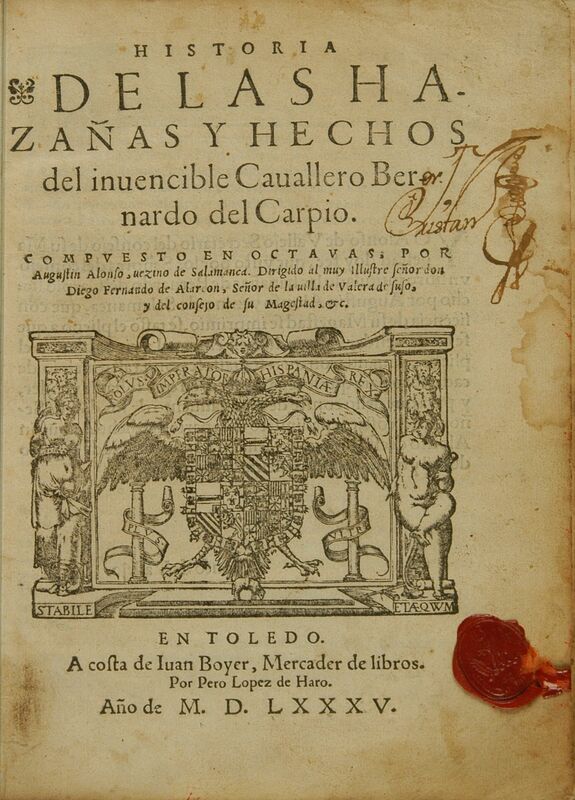 Bound together with second edition of J. Urrea's translation (1558). Illustrations: Illustrated title pages with printer´s emblem and engraved headpieces, one at the start of each canto, engraved initials, and a portrait of Urrea. 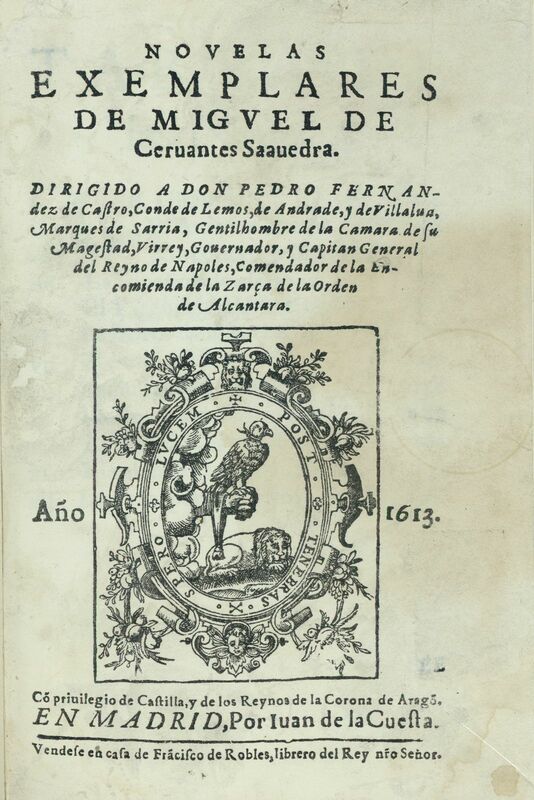 Description: Second edition of first translation in Spanish of Ariosto's Orlando, first published in 1549, and now "corregido segunda vez por el mismo". Bound together with second part continuation written by Nicolás Espinosa (Zaragoza, 1555), second edition. Ariosto´s final version was published in 1532 and his Orlando has been recognized as an influential source in the composition of the Quixote. Illustrations: Portrait of Petrarca and illustrated with six engraved vignettes, one per "Trionfo". Description: Rare edition in one volume of Petrarca's poetry: Sonetti e Canzoni and Trionfi, with a "Vita de Petrarca" at front. 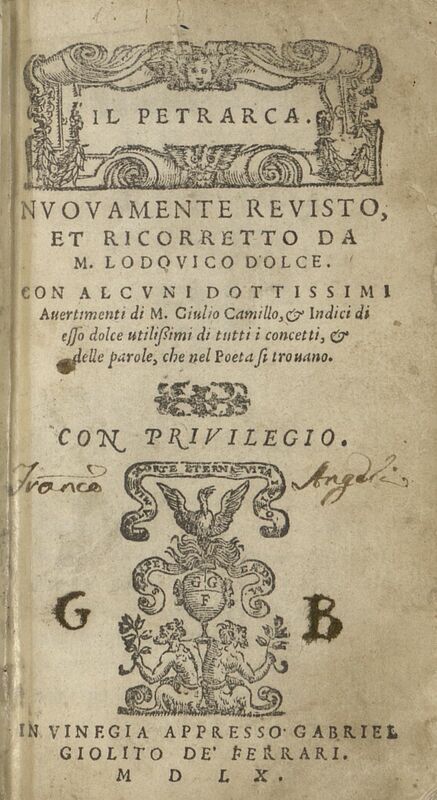 Bound with the Annotations by Giulio Camillo, with separate title page dated 1557, plus Tables and Indexes. Acquired with the support of the Lynn Holleran and Chuck Bowman Cervantes Endowment. Illustrations: Illustrated with 29 vignetted woodcuts of excellent quality, some as chapter headpieces. 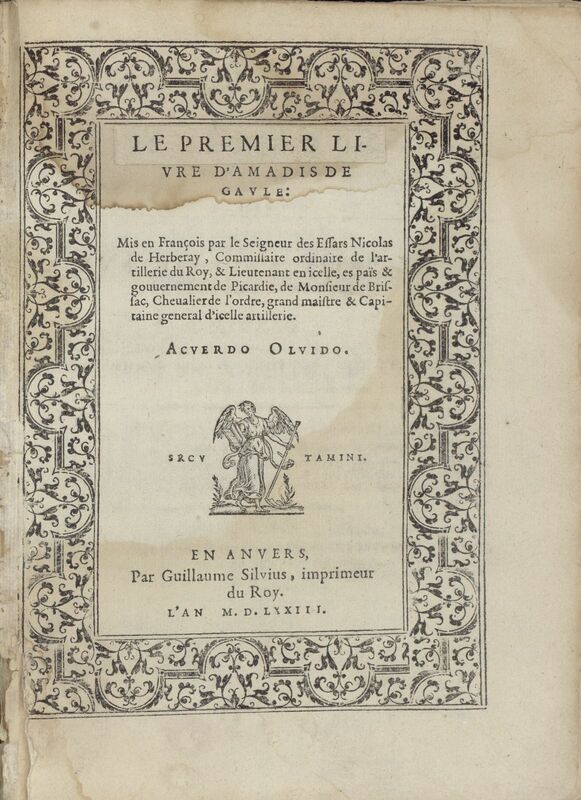 Description: The first four books of Amadis de Gaule in one volume, translated into French and first published in 1540-1543. 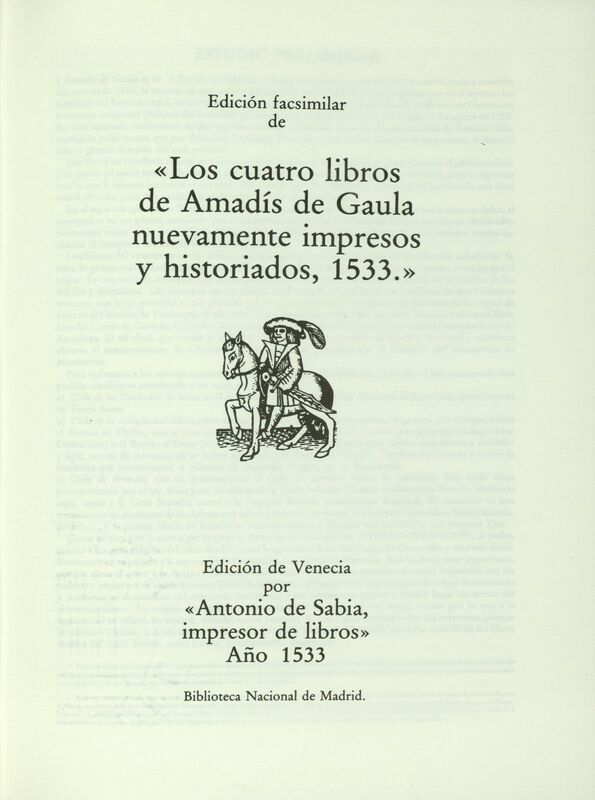 The Amadís de Gaula appeared in Spain in the 14th century and was revised and expanded by Montalvo into four books in 1508; Amadís served as the principal parodic model for Cervantes´ Don Quixote. Bound in modern vellum with ties. 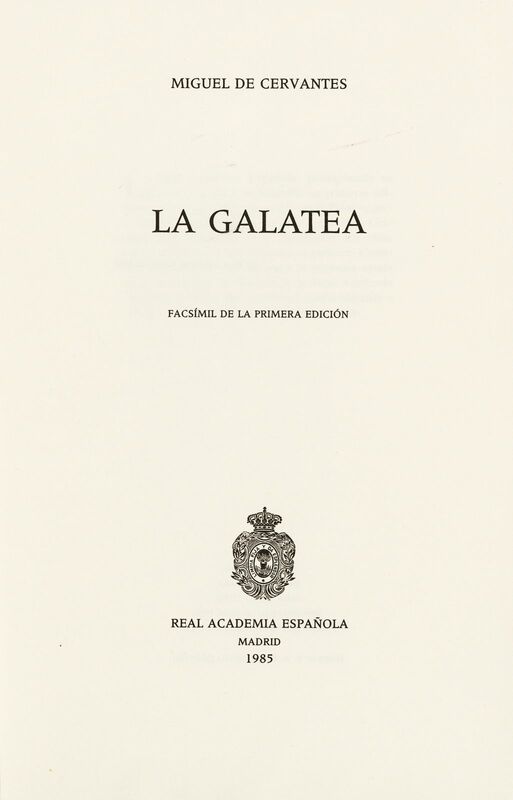 Description: Facsimile of first edition of La Galatea (1585); a reprint, Madrid: Real Academia Española, 1985, using restored plates from first issue published by RAE in 1917-23; vol 1 (1985). Description: Facsimile of first editions; reprint, Madrid: Real Academia Española, using restored plates from first edition in 7 vols. published by RAE in 1917-1923, rpt. 1976-1990. Cushing has vols. 1-4 and 6. Description: First edition. 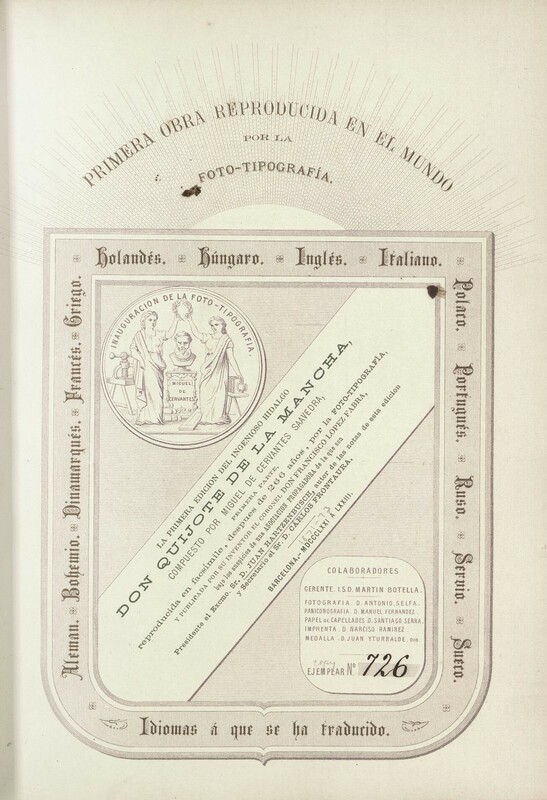 Printed by Pero López de Haro. 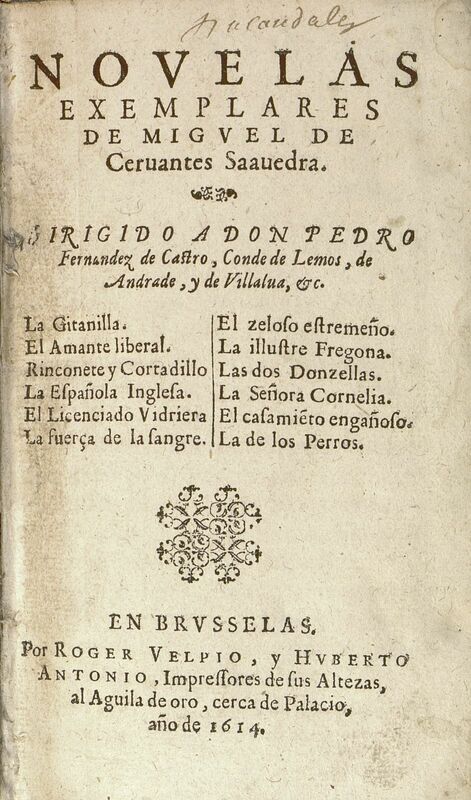 Epic poem in 32 Cantos, continuing Ariosto's Orlando, about a legendary Spanish knight mentioned by Cervantes in the Quixote five times as chivalric model. Very rare; only copy in USA libraries. Cushing's copy bound in contemporary full vellum, missing pages 4-5 and the colophon. Description: First edition of Italian translation of Polidoro's De rerum inventoribus (Venecia, 1499). Popular encyclopedic work parodied by Cervantes in the Quixote. Illustrations: First facsimile edition of both Madrid 1605 and 1615 princeps editions, reproducing the original title pages with Juan de la Cuesta's emblem; also with a new allegorical title page designed by Francisco Ortego and engraved by Tomás Carlos Capuz. Description: Volumes I-II, reproduce the Madrid 1605 and Madrid 1615 princeps from the Biblioteca Nacional copy; and volume III contains the 1633 notes by Hartzenbusch. 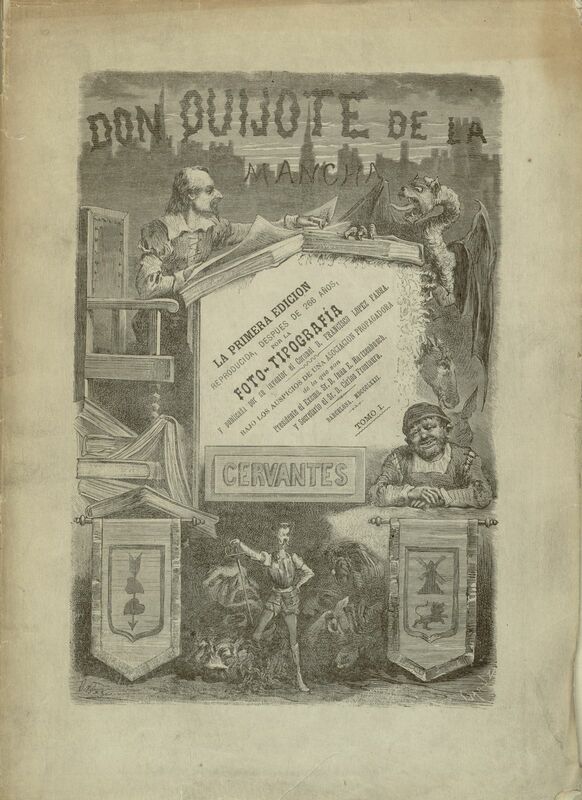 The edition was initially published in 26 installments, "reproducida en facsímile por la fototipografía, y publicada por su inventor el coronel Don Francisco López Fabra, bajo los auspicios de una Asociación Propagadora de la que son presidente el excmo. Sr. D. Juan Hartzenbusch, autor de las notas de esta edición, y secretario el Sr. D. Carlos Frontaura." Limited edition of 2,605 copies; Cushing's copy number is 466; printed on Capellades paper. 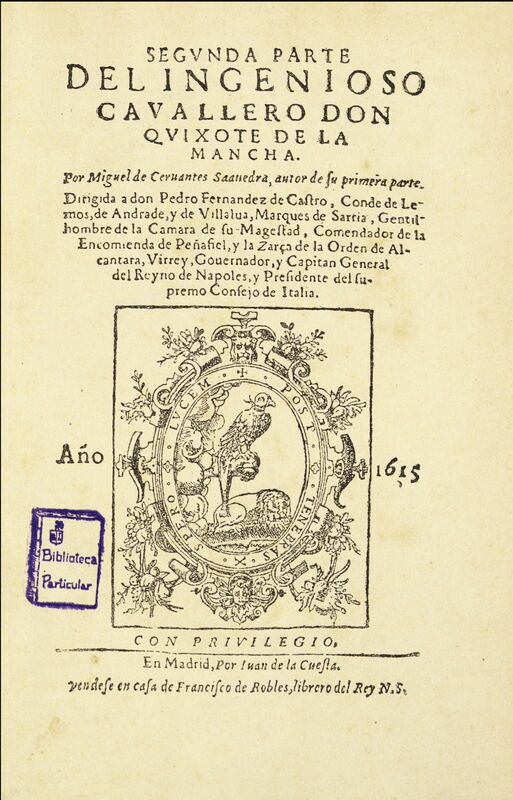 Illustrations: First facsimile edition of Madrid 1605 first edition, reproducing the original title page with Juan de la Cuesta's emblem. Description: Limited edition of 2,605 copies printed on Capellades paper; copy 2 of Volume I only (1605) number 726, title page colored by previous owner. Description: Facsimiles of first editions, Madrid 1605, 1615. 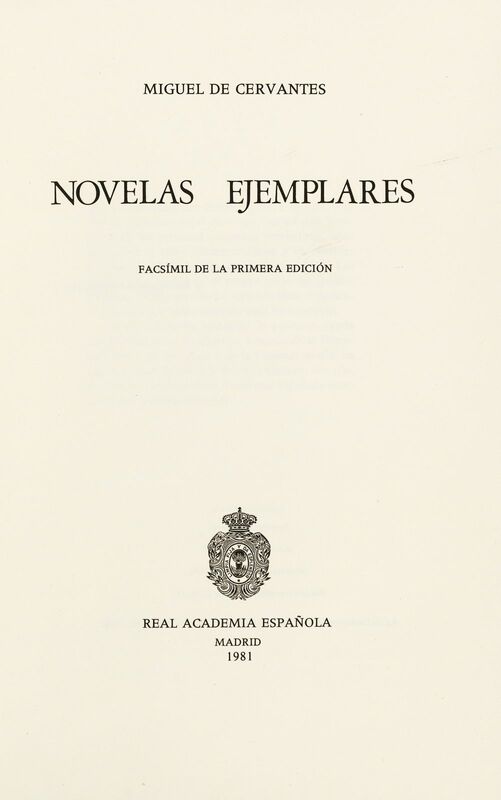 This is a reprint using restored plates from the Real Academia Española's first edition (1917-23); vols. 2-3 (1976) of Obras completas. Description: Facsimile edition Barcelona: Montaner y Simon, 1897: Part I 3rd Cuesta edition (Madrid, 1608), Part II princeps (Madrid, 1615). Part of the Thomas F. Collison and Elizabeth Mason Collison Cervantes Collection donated by Bob and Malinda Wolter. Description: Ninth edition overall of the Quixote Part I (1605); with a new Dedication by the editors to the Conde Vitaliano. The text follows the second Valencia 1605 edition. Bound in contemporary vellum with a stamp on the title page from the previous owner: Giuseppe Carlo de Ghisi. Illustrations: Printer´s emblem on title page, "Post tenebras spero lvcem". Description: Bound together with Dotrina del estoico filosofo Epicteto, que se llama comunmente Enchiridion, traduzido del griego, by Francisco Sánchez (Madrid: Juan de la Cuesta, 1612), first edition. Superlibris of "Biblioteca de Salvá" stamped in gold in both covers, and with the seal of Heredia, bound in green morocco. Very rare; only copy thus. Acquired with the support of the Lynn Holleran and Chuck Bowman Cervantes Endowment. Description: First edition thus. 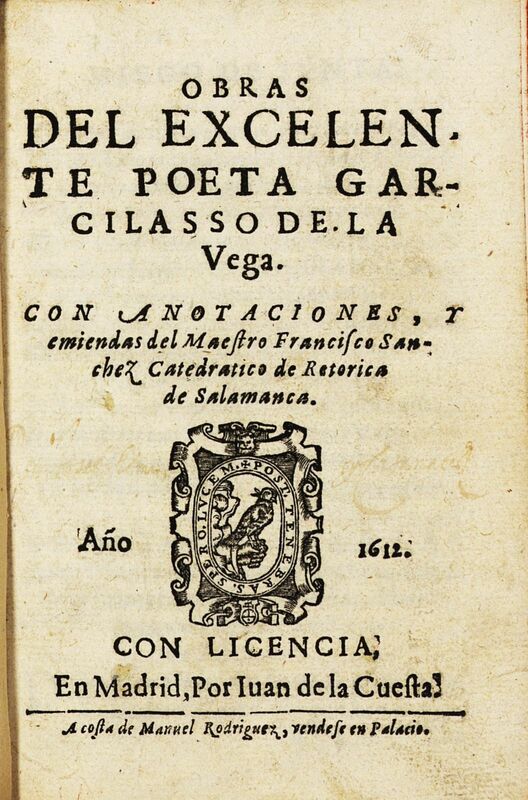 Bound together with Obras del excelente poeta Garcilasso de la Vega (Madrid: Juan de la Cuesta, 1612). Acquired with the support of the Lynn Holleran and Chuck Bowman Cervantes Endowment. Illustrations: Includes twelve chapter illustrations, process reproductions after Jacob Folkema from La Haya: J. Néaulme, 1739 edition, one per novel. Description: Facsimile of princeps edition, bound in vellum and extra illustrated; Berlín-Buenos Aires: Editora Internacional, 1923. Description: Facsimile of the princeps edition; reprint of the RAE facsimile edition in 7 vols. (1917-23) using the same plates, now restored; vol. 4 (1981). 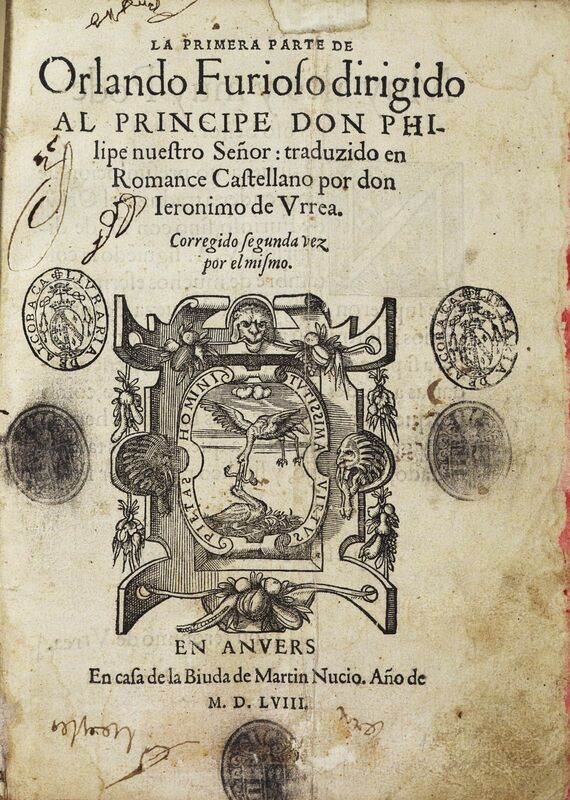 Description: 4th edition overall (same year as 2nd and 3rd), identical to princeps Madrid, 1613. Bound in contemporary vellum, one leaf in facsimile. Acquisition made possible in part by the Lynn Holleran and Chuck Bowman Cervantes Endowment.